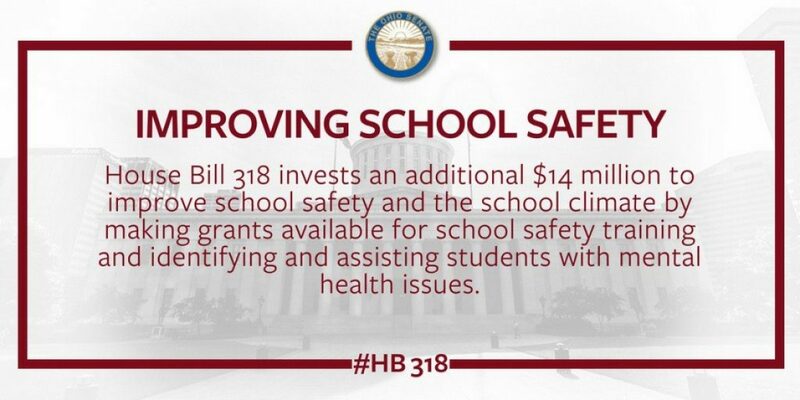 Chardon, Ohio, August 3, 2018 – Governor John Kasich signed HB 318, which provides Ohio schools with opportunities to acquire funds earmarked for school safety and mental health. 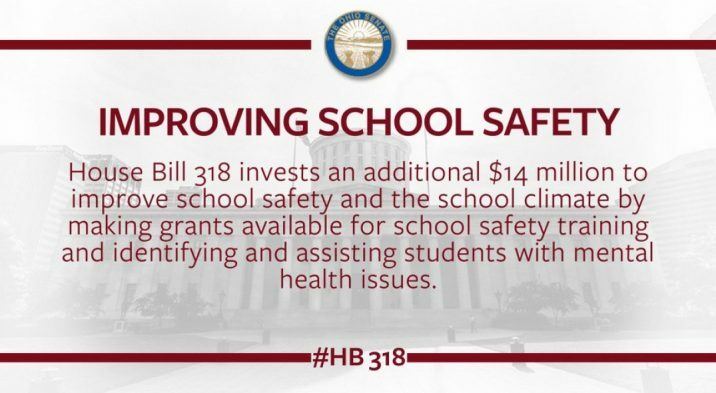 The bill also introduces the implementation of a positive behavior intervention program and revisions in state expulsion/suspension language. The bill, co-sponsored by Representative John Patterson (D-99 Jefferson) and Representative Sarah LaTourette (R- 76) Bainbridge) was a collaboration between the Representatives and the Coach Hall Foundation and various groups throughout the state. The Coach Hall Foundation was founded after the Chardon School Shooting in 2012 that left three students dead, three others injured, one paralyzed for life, and is named for Coach Frank Hall, who chased the gunman from the school saving countless lives. The Foundation’s mission is to provide effective means to prevent against school violence and improve the quality of life in our school communities. The foundation operates around the idea that children are the most important resource we have in our nation and must be protected while in our schools. The Coach Hall Foundation, a 501 (c) (3) organization, is working to secure School Resource Officers in all school buildings across the nation. School Resource Officers must be a part of every School’s environment and be protectors, educators, and role models. The foundation will also continue promoting and investigating additional protective measures, services, devices, and plans to protect our school children.